I’m going out for lunch today with two friends, whose children were in the same class as my son at primary school. Our children have gone to different secondary schools so it’ll be the first time I’ve seen them in about a month. The top I’m wearing is from Joules’ latest collection. I love so many of styles this season. This is a smock style top with soft gathers at the front. It drapes beautifully. The three-quarter length sleeves are perfect for this time of year. I was drawn to the woodland print which features deer, something I always associate with autumn. The colour is a beautiful inky navy and it almost looks like a water colour. I think tops like this are indispensable. A “go to” top that can be dressed up or down and that can be thrown over skinny jeans. 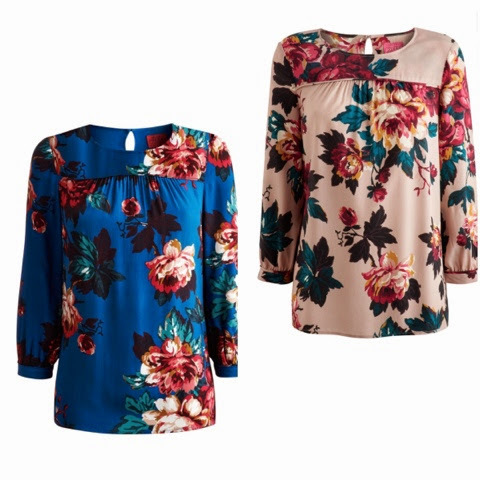 The same design is also available in dark topaz floral and mink floral. I popped my Joules brown Henford blazer over the top. 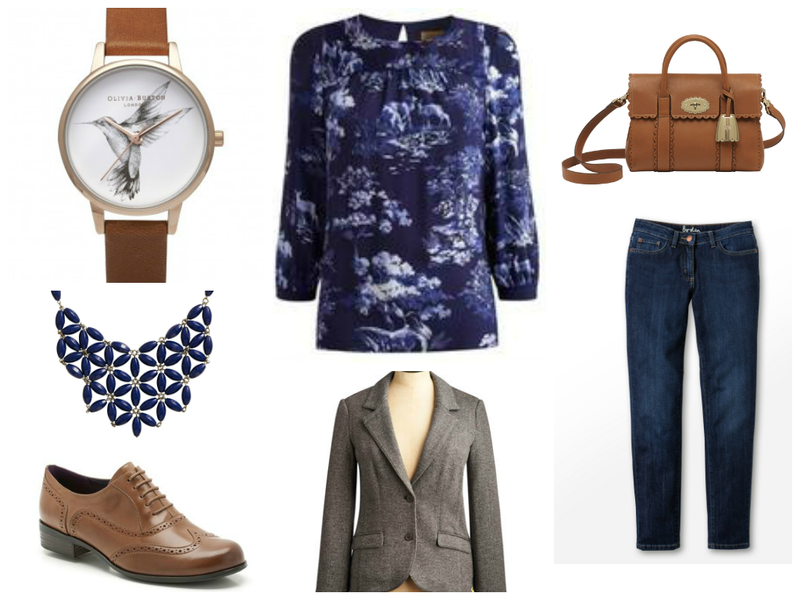 It’s one of my favourite autumn pieces- I wear it a lot- and I love the elbow patches. It looks like herringbone tweed, but it’s actually jersey. I always feel itchy when wearing wool, so I’ve been thrilled with this. The single-breasted, slim fit keeps it looking neat and I think it’s a another perfect transitional piece. 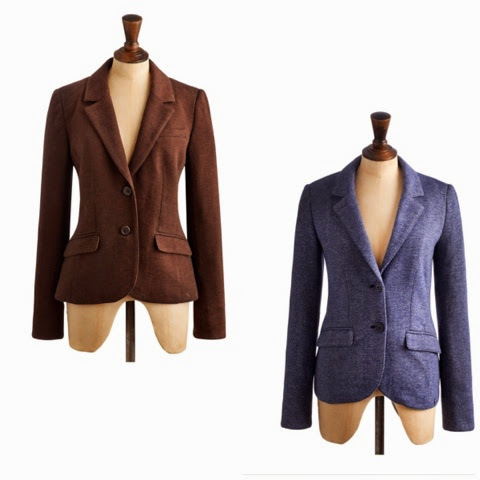 As well as the light brown like mine, it is available in blue and dark brown. My shoes are the Clarks Hamble Oak in dark tan leather. 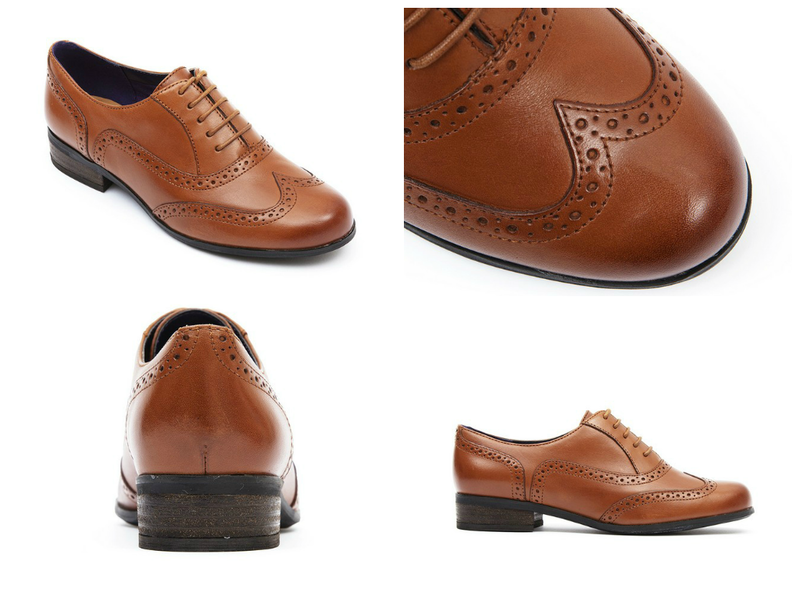 They are a traditional brogue style and very comfortable. I opted for a blue necklace to enhance the shades of blue in the top, (a Joules purchase last season). 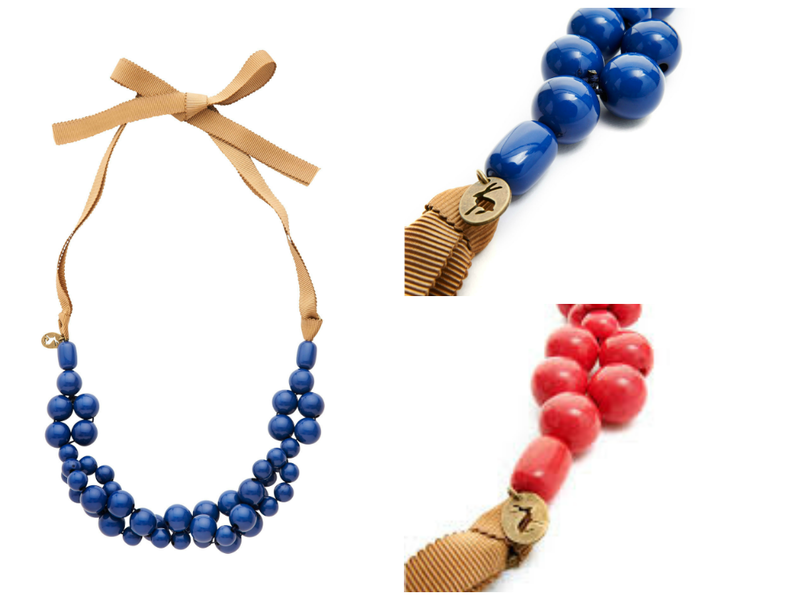 This season sees necklaces and bracelets in a choice of colours with contrasting grosgrain ribbon tie.